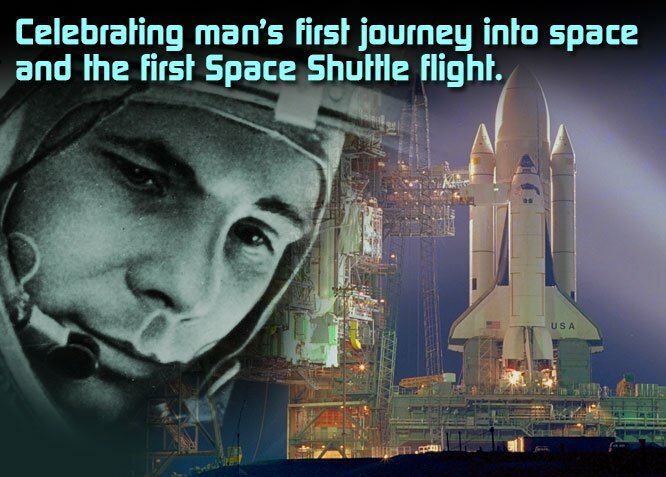 February 26, 2015 – The Space Foundation joins the global celebration of Yuri’s Night with an evening that recognizes U.S. history in space and the anniversary of the Space Shuttle program. The public is invited to participate in this event at the Space Foundation Discovery Center in Colorado Springs on Sunday, April 12, the evening before the launch of the 31st Space Symposium. Yuri’s Night parties and events are held around the world every April in commemoration of April 12, 1961, the day of cosmonaut Yuri Gagarin’s first manned spaceflight, and April 12, 1981, the inaugural launch of NASA’s Space Shuttle. Space Foundation Yuri’s Night will kick off Space Symposium week with presentations by former NASA astronauts and others who participated first-hand in the Space Shuttle program. Space Foundation Yuri’s Night will be held at the Space Foundation Discovery center from 6:00 – 9:00 p.m. In addition to presentations by several former astronauts, the event will include space exhibits, Science on a Sphere presentations, and interactive activities. Music will be provided by the Colorado Springs Conservatory. Proceeds from the event will support scholarships for students and educators to experience hands-on field trips to the Space Foundation Discovery Center. Reserve tickets here.